Day 3 = Dessert! 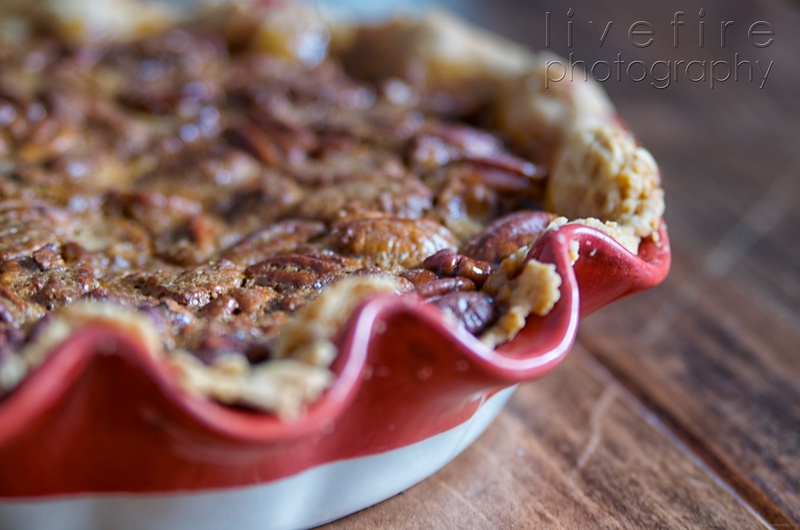 Or, more specifically, bourbon pecan pie! Yes, you heard me right. Bourbon. Pecans. Pie. All in one bite. This is a great pie, and I encourage you to try it. I get accused of using bourbon too much, but, honestly, the flavor goes so well with so many things. 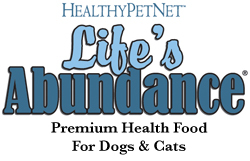 It’s sweet, but not too sweet, so it goes with savory or sweet. Bourbon has vanilla and toffee and such that add layers of flavor and a bit of depth to otherwise good flavors, just moving everything up the scale from good to great. Bourbon just works. And as we move into Thanksgiving, what liquor is more appropriate? It’s a truly American thing, and Thanksgiving is a great time to celebrate this. 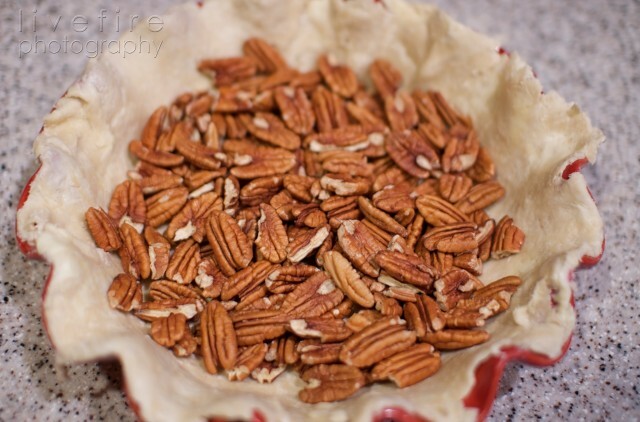 One thing I’ve found in making pecan pie is that the pecans really do matter, a lot, in fact. 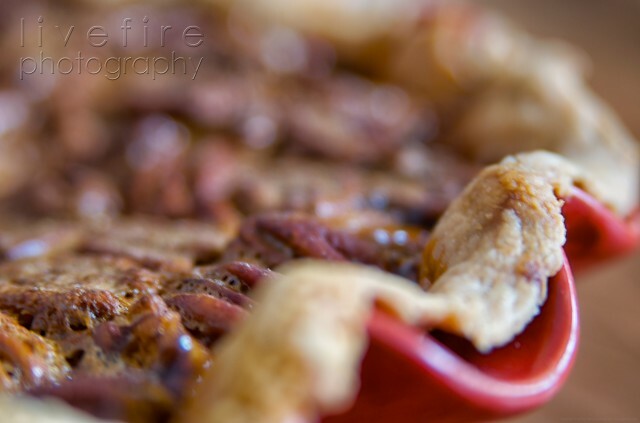 The fresher the pecans, the better the pie. I also like whole pecans, not chunks and pieces. Get the freshest you can get, and leave them whole! I have a bit of a confession to make: I used to not even like nuts, and, when I started to, I always preferred my pecan pie in 2 phases. I’d eat the layer of pecans first, then finish with the filling and crust. All parts were great, but I liked them best alone. 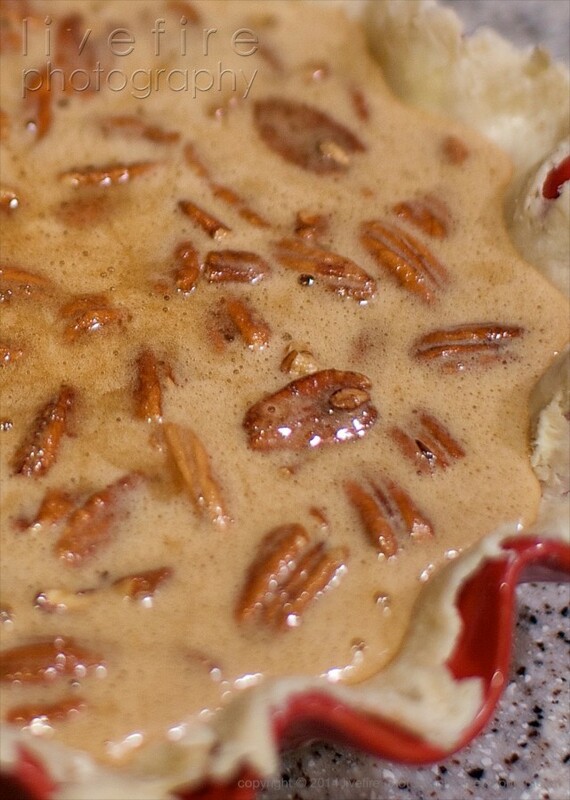 The recipe I use now is the first pecan pie that is just too good together to use the 2-phase attack! The filling comes from Garden & Gun magazine from a few years ago,and it’s a recipe from a southern chef that’s originally from Stowe, Ohio. With that, I’m calling this a Buckeye recipe, not a southern one! The crust can be any crust you prefer; I like to use Jacque Pepin’s pate brisee, with small bits of butter to add flakiness. 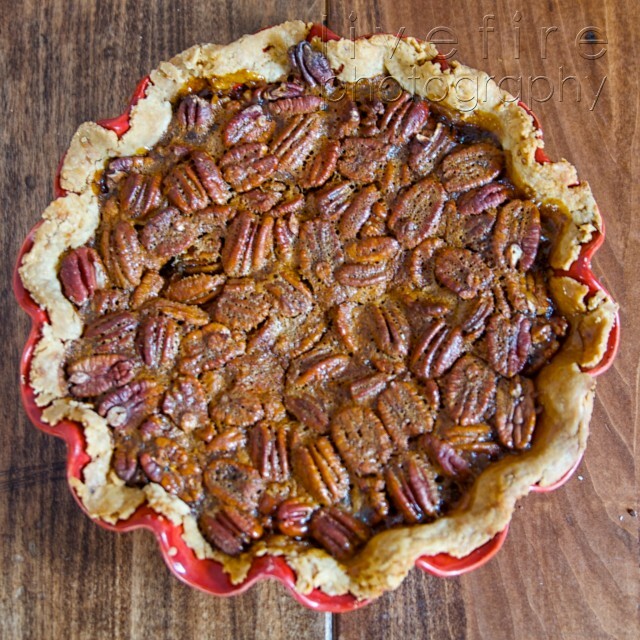 One crust recipe = 2 pies since only one crust is used per pecan pie (most recipes give a top and bottom). I’ve had lots of pecan pies over the years. Trust me when I say this is a great one! 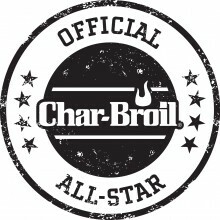 Cooking it on the grill only moves it even further up the scale of awesomeness! 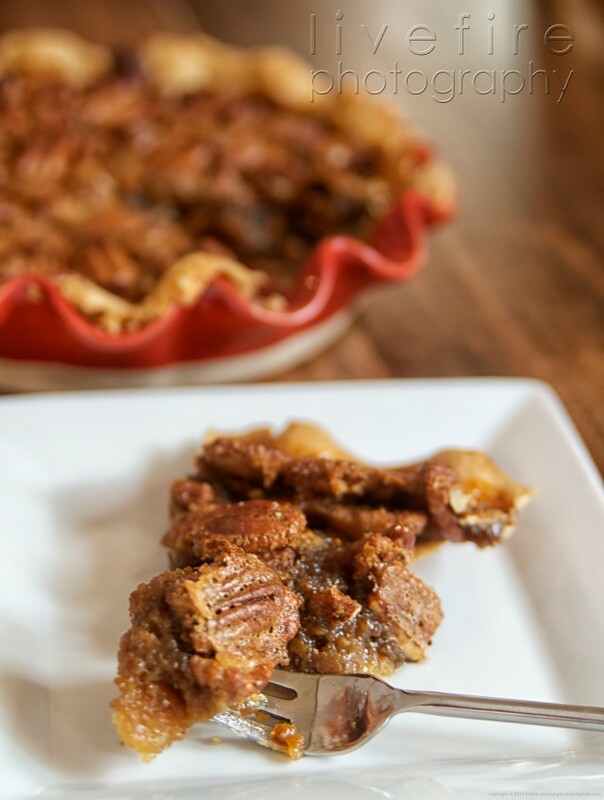 One of the greatest pecan pies you can make! Place the butter in the freezer for 15 minutes, then cut into small pieces. Return the butter to the freezer. Combine all the dry ingredients with a fork, then blend in butter with your hands or a pastry blender. When the dough starts to get crumbly, add the water a little at a time, mixing by hand. When the dough starts to hold together, stop adding water. Divide into 2 halves and refrigerate for 30 minutes or so. Do not over-handle! Roll out the dough and put into a 9” pie pan, crimping the edges. 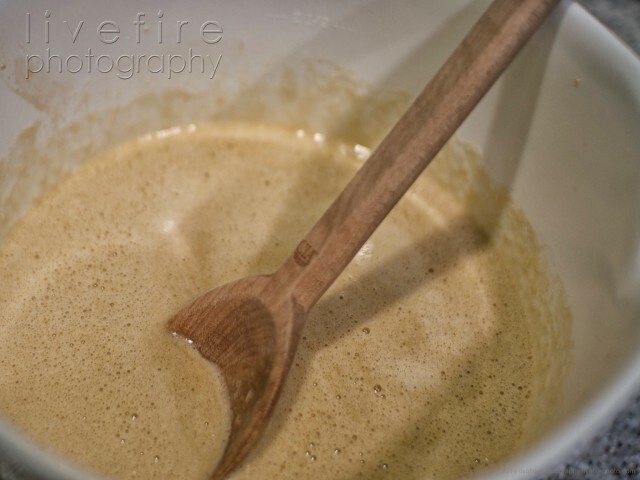 Using a mixer, combine the sugar, syrup, salt, flour and eggs. Mix well and stir in the remaining ingredients. Make sure to taste the whiskey to ensure it’s up to par! Pour the mixture into the pie shell (unbaked). Place the pie on a baking stone on a grill set to about 350°F. After bout 40 minutes, turn the pie half way to allow for even baking. Check the pie at about 1 hour or so, to ensure a toothpick inserted into the center comes out relatively but not perfectly clean. The pie should take from 1 hour to 1 ½ hours, depending on how steady the temperature holds. Remove the pie from the grill and allow it to set for 2-3 hours.